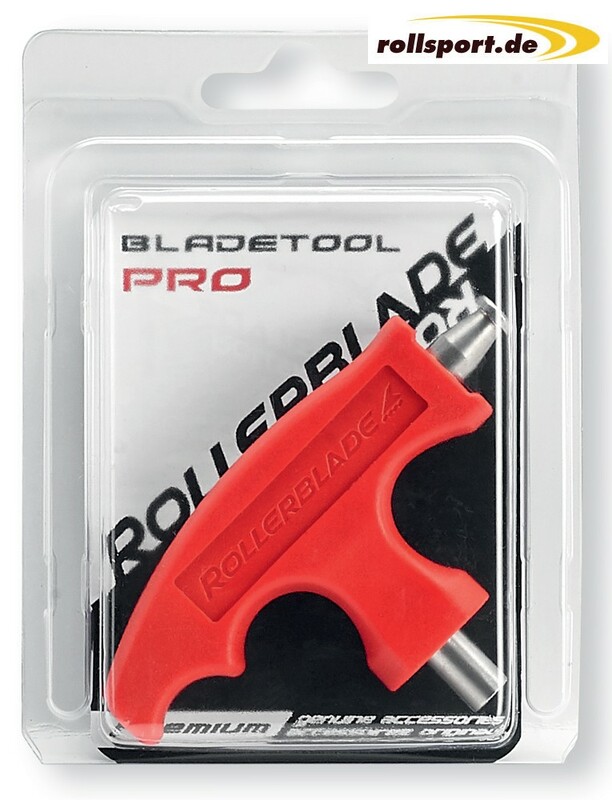 Rollerblade inline skate Bladetool Pro - the Rollerblading Bladetool Pro in red with 4mm Allen and Torx is new in the Rollerblade assortment. Due to the exchangeable blade, both 4 mm hexagon socket screws and Torx screws can be operated. Thus, the key for almost all skate fittings used. The interchangeable blade is made of high quality chrome vanadium steel. Of course, the Weschelblade tool also has the same advantages as the 4mm and Torx tools. 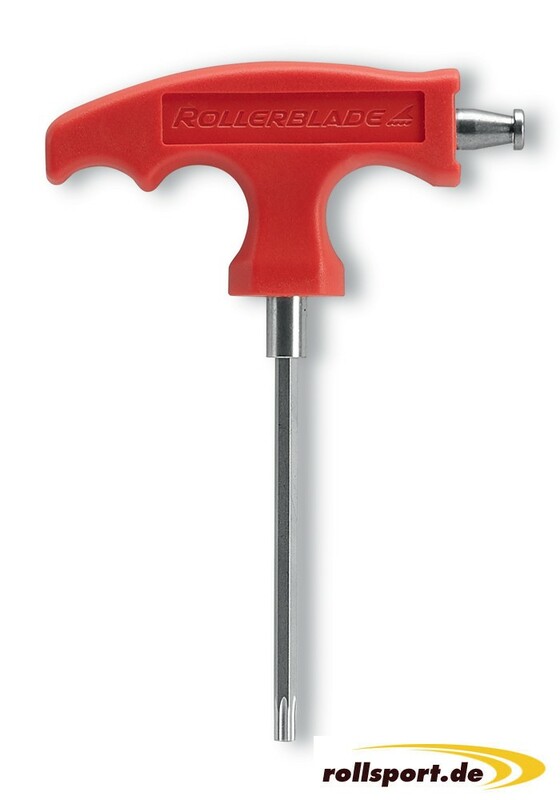 The ergonomically shaped handle fits well in the hand, so that even very tight screws can be solved. Due to the special shape of the segment, you are able to lift the ball bearing out of the roller.